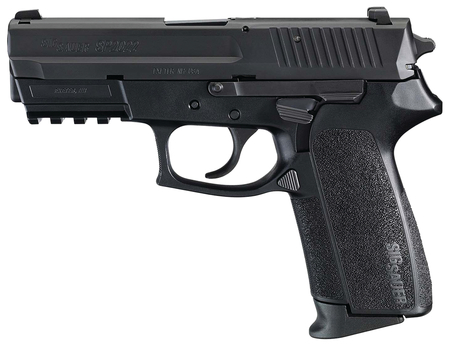 SIG SP2022 .40 S&W 3.9 Inch Barrel Contrast Sights Black Nitron Slide Finish Black Polymer Grips 12 Round. Double action/single action. Lightweight, wear-resistant polymer frame with integrated accessory rail. Four-point safety system. Polymer grips. Slide is machined from a solid block of stainless steel and protected by a Nitron finish.